Family Preschool is a cooperative, play-based preschool that has served the Triangle community for 48 years. With our cooperative preschool model parents experience their child’s early years of development through direct engagement in the classroom. 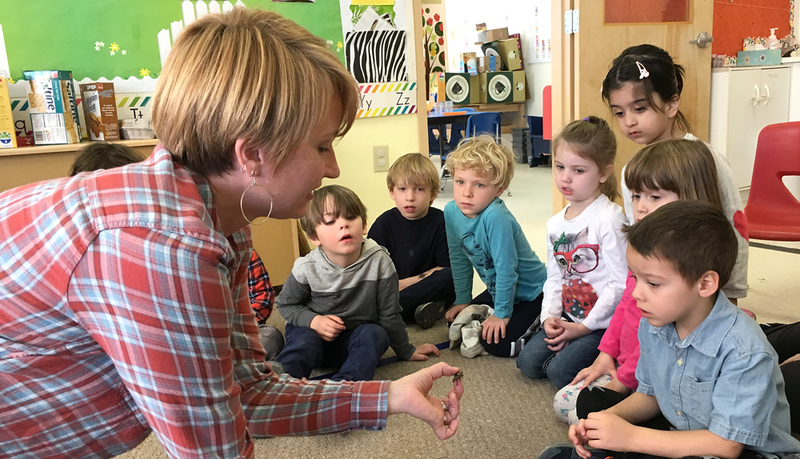 Our five experienced teachers provide a nurturing environment for children to learn, play, and grow alongside their parents and loved ones in a half-day setting. Children learn best through creative interaction with the world around them. Our play-based/Project Approach curriculum embraces this. Experienced, dedicated and caring, our teachers make Family Preschool exceptional. One of the only preschools in the area using the Project Approach Model!